Here are 2 ways to access Church@thepeak Elvanto. 2. App (partial features on smartphones and tablets). You can access the direct link to Church@thepeak's Elvanto login from any page on the church website. If you need help with any of these please email Jocelyn. Down load the free App from the App store on your smartphone or tablet device. 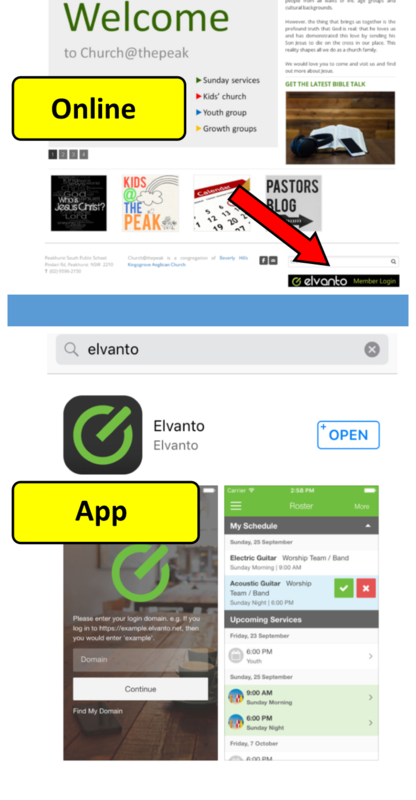 Please be aware that not all the features that we use in Elvanto are on the App. The Church@thepeak directory is now fully functional!